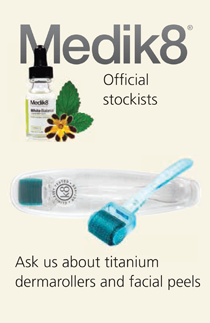 Pro Beauty Clinic uses an award winning, global skincare brand, Medik8. These products are designed, developed and formulated by a team of biochemists and pharmacologists in the UK. Medik8 products are not tested on animals. This mini facial is ideal for those on the go. Your skin is cleansed, lightly ex-foliated and gently massaged. A mask is then applied, followed by a moisturiser. Suitable for all skin types. An anti-ageing facial treatment designed for skin concerned with ageing and the visible signs of ageing including fine lines and wrinkles. A specific treatment using the professional strength Medik8 serums (Vitamin C and A) for immediate visible results. Recommended for mature skin. 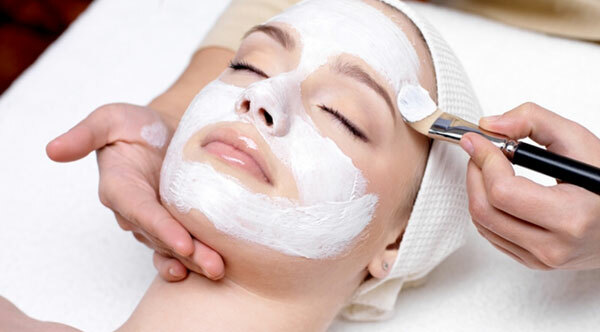 Deeply hydrating and restorative facial treatment. Brings back the skins vitality and flexibility and eliminates dehydration. This treatment transforms the skin as it hydrates, refines, tones and firms leaving it silky smooth and radiant. Recommended for all skin types, especially dry and dehydrated. Delicate facial treatment designed specifically for hypersensitive skin with visible tread veins or prone to redness and inflammation. Moisturises the skin, improves firmness and elasticity, soothes irritations and reduces redness of the skin. Recommended for hypersensitive and redness prone skin types. Intensive anti-bacterial and anti-inflammatory treatment. This treatment is designed to normalise sebum secretion, alleviate inflammation and reduce irritation whilst improving the skins hydration, texture and tone. Recommended for oily, combination, congested and acne skin types. A complete and extremely effective lightening treatment that is based on carefully selected active ingredients with brightening properties. This facial illuminates complexion, reduces discolouration and evens out skin tone. Recommended for hyper-pigmented skin types. Add a collagen mask to your facial to promote smoother skin texture, reduce fine lines and wrinkles and help restore your skins elasticity. With laser skin renewal you can easily clear many undesirable skin imperfections on your face and body. By targeting sun damage, brown spots, melasma, stretch marks, lines and wrinkles this technology provides you with clear results and beautiful looking skin with NO down time! Permanent tattoos are a thing of the past. New Cynosure® Revlite machine. Proven reliabitlity and versatility. If you're interested in working for Pro Beauty Clinic, then please send in your CV!